Pathways, Drives, Decking, Patios, Concrete, Garages, Walls & Fencing. We offer free estimates and no obligation quotes. These before and after pictures show what can be achieved. 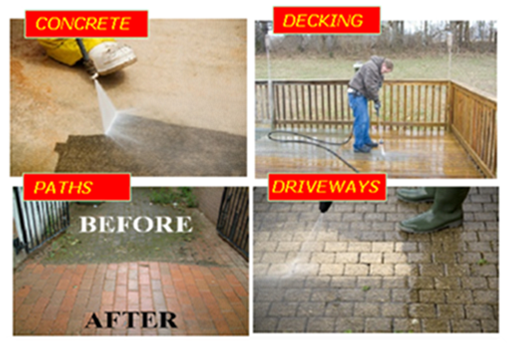 We can also reseal or re-sand your existing patio, driveway or block paving. Excellent results at competitive prices.